The splendid appearance of the Bellevue is like no other for the price. This humidor is constructed with a dark mahogany wood exterior coupled with an ultra-rich finish consisting of 7 layers of lacquer. 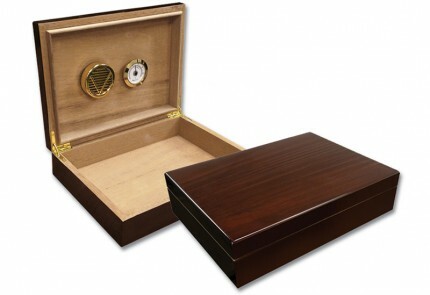 Cigar connoisseurs can store up to 25 cigars in this extraordinary looking cigar humidor. Since the Bellevue is constructed with a true wood inlay, no two humidors are ever exactly alike. This unit is not only fully lined with solid Spanish cedar, it also includes a gold frame glass hygrometer, gold polished humidifier and matching gold internal locking hinges. 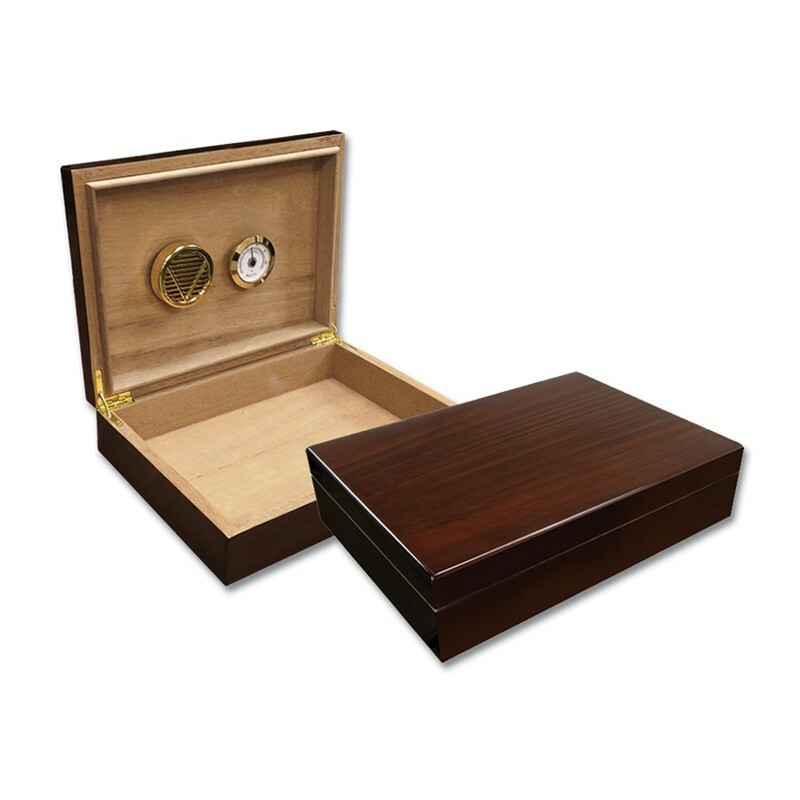 This handsome humidor makes a superb choice for the discerning cigar smoker.